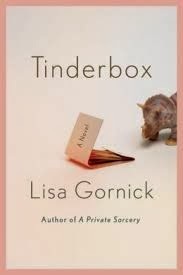 Lisa Gornick is the author of the new novel Tinderbox, and also of another novel, A Private Sorcery. Her writing has appeared in various publications, including AGNI and Prairie Schooner. She has a Ph.D. in clinical psychology, and she lives in New York City. Q: How did you come up with the idea for Tinderbox? A: The emotional kernel of Tinderbox comes from a story I once heard about a young woman who fell apart in the context of her work for a loving family -- her buried longings for mothering stimulated by the love she witnessed the parents bestowing on their child. After that, everything else was transformed and fictionalized: where she came from, the family, what transpired. Part of the great fun of writing a novel is spending time learning and thinking about topics that fascinate you. After all, if I were a weaver, I would be spinning with the wool and colors I love. In Tinderbox, the skeins include the Jewish diaspora, the ecology and politics of fire, the interplay of compliance and rebellion between generations, the centrality of class, Werner Herzog, psychoanalysis. Q: You have a degree in clinical psychology, and your character Myra is a psychotherapist. How did your own professional background help you write this book and better understand your characters and their relationships? A: Freud was wrong about a lot of things, but the aphorism attributed to him by Erikson -- “lieben und arbeiten,” love and work, are what a healthy person can do well -- strikes me as absolutely right. In novels, the work that a character does too often feels tacked on -- either superficially portrayed, like a handbag being carted around, or dutifully researched so that the details are correct but the integration into who the character is and how he or she sees the world is lacking. 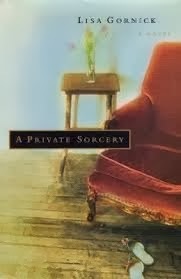 In both my first novel, A Private Sorcery, and Tinderbox, it was natural for me to have central characters who are psychotherapists: it’s work that I love and know in my bones. As with most psychotherapists, my training changed me and is part of who I am. Although I don’t interact with people outside my office in the same way I do inside (that would be a mistake on many levels), I still see and understand the world through an analytic lens -- most centrally, a belief in the unconscious, in transferences, in symptoms created by compromises between desires and prohibitions. Because as a novelist my characters are real to me, I think about them in this way, too. Q: Fire is a major theme in the book. Why did you choose that as one of the topics to explore? A: I was in Montana and Idaho in 2000 while horrific wildfires were blazing. It was my first experience with nature overpowering man, and it was both shocking and eye-opening about the precariousness of our place on this planet and the damage we intentionally or unintentionally cause. The Smokey Bear policy that dominated mid-century wildfire management was, we now understand, deeply misguided. By eradicating small blazes, we create an overgrown underbrush that can set the stage for out-of-control conflagrations. In Tinderbox, both my title and the theme of a tragedy of good intentions grew out of my experience that summer. Q: What research did you need to do to write the book? A: Like many writers, I find that there’s a fine line between research as inspiration and a necessity to accurately depict a subject, and research as resistance to writing. For Tinderbox, I did extensive research on Iquitos, the history of the rubber trade, Moroccan Jewish communities, the Jewish community of Lima, Werner Herzog and Fitzcarraldo, John Ford and The Searchers, wildfires, the history of smokejumpers, burn treatment, skin grafts, Frank Lloyd Wright and the tragedy at Taliesin. A: I have a collection of linked short stories, Louisa Meets Bear, coming out in early 2015, also with Sarah Crichton Books/ Farrar, Straus & Giroux. And, I’m at work on a new novel. A: For the rest, you’ll have to read Tinderbox!